If you stay at the hostel you have access to common showers and toilets. Cleaning are not included, but can be prebooked for 250 SEK. Check in from 3 pm and Check out before 10 am. 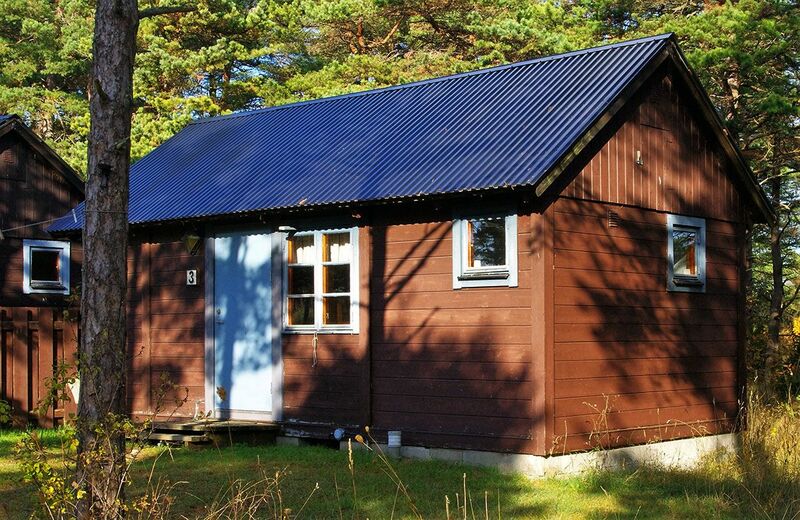 The rooms can only be reserved if you contact Fårö Kursgård directly on telephone number +46 (0)498-224133. Breakfast and Towels & Sheet are included. Toilet, Shower and refrigerator on the room. Cleaning is not included, but can be prebooked for 250SEK. Check in from 3 pm, and check out before 10 am. Kitchenette, Refrigerator,Toilet and Shower in all cabins. Towels and sheet are not included, but can be prebooked for 100 SEK/SET. Cleaning is not included, but can be prebooked for 500SEK. Only sleeping accommodation, see Youth Hostel. Full board and lodging: Breakfast, morning coffee, lunch, afternoon coffee, dinner and sleeping accommodation with towels and sheet. Also departure cleaning is included. All prices is not included VAT. We also arrange other types of dishes and also lunch for bus tours.